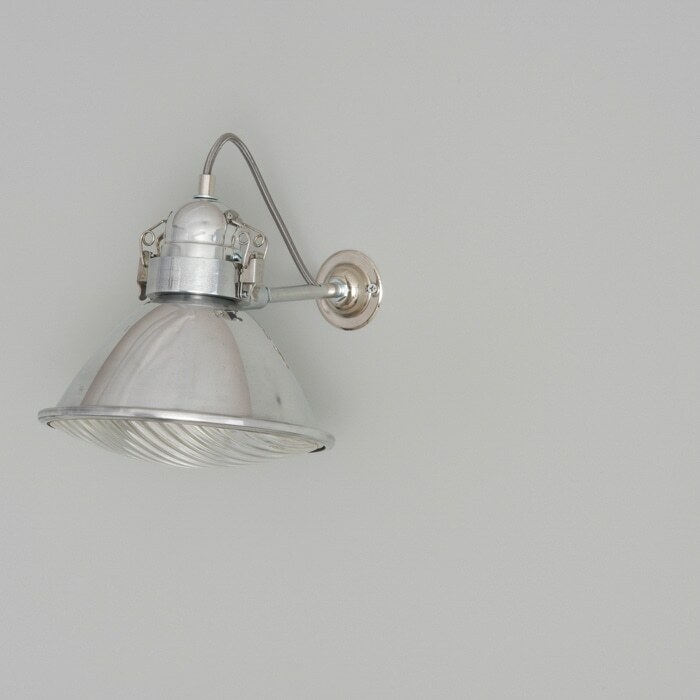 Stunning landing lights salvaged from an R.A.F base in Northwest Wales. 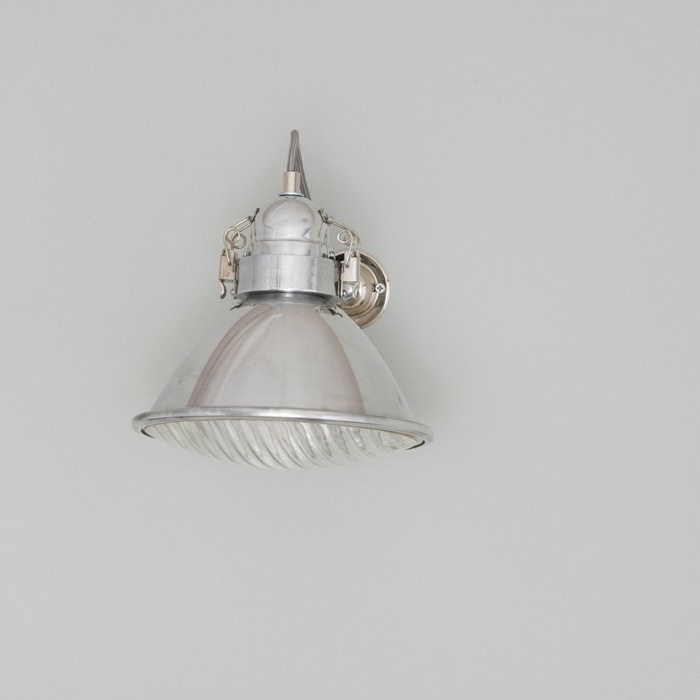 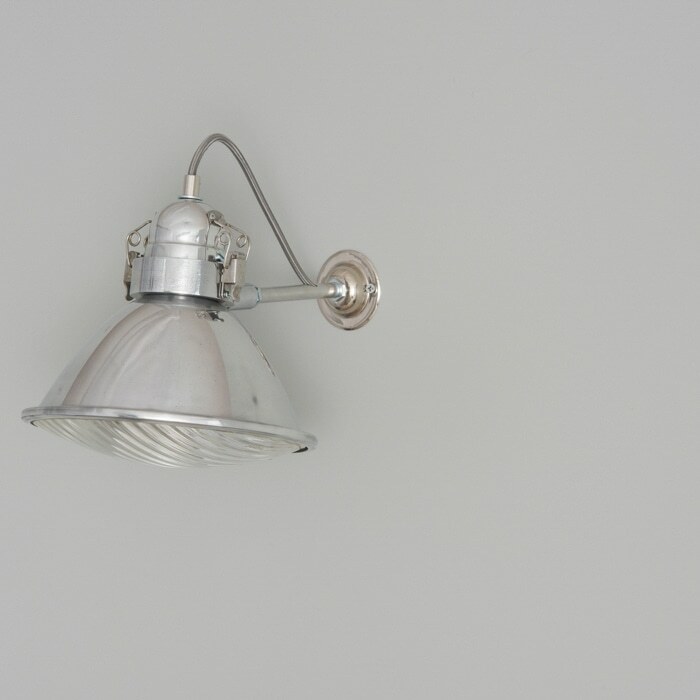 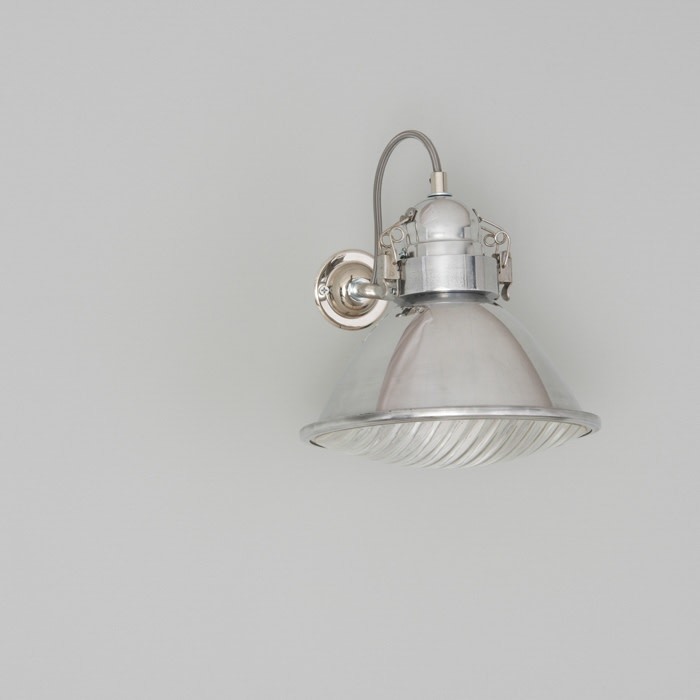 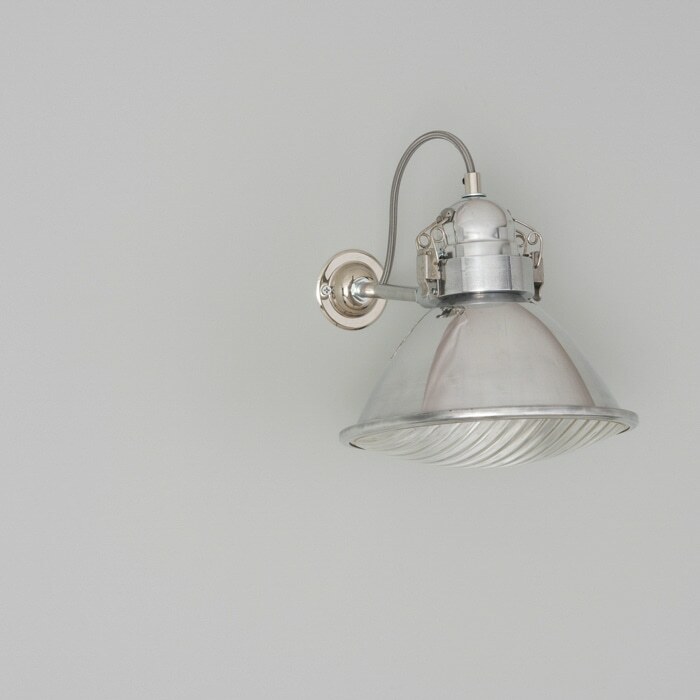 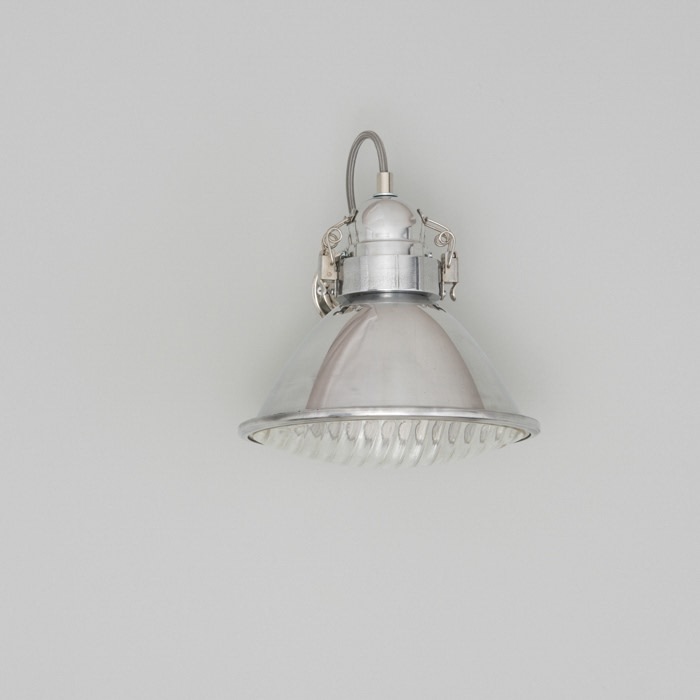 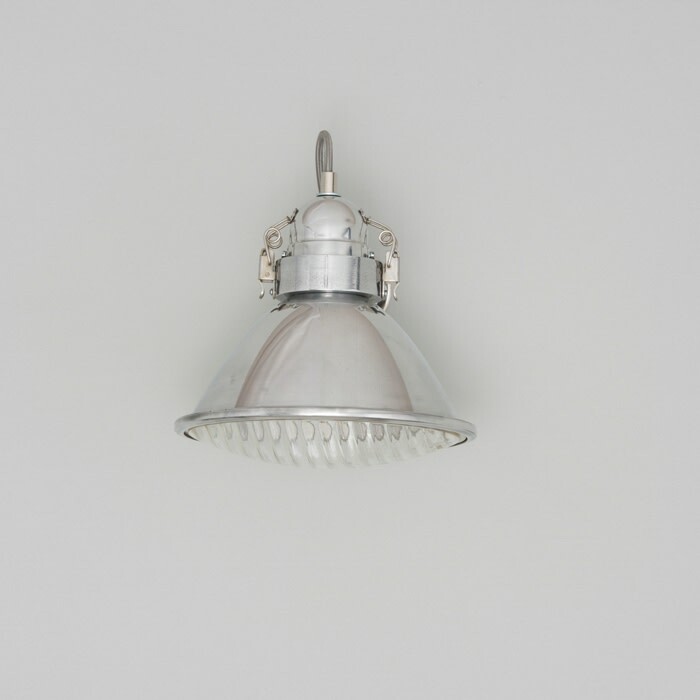 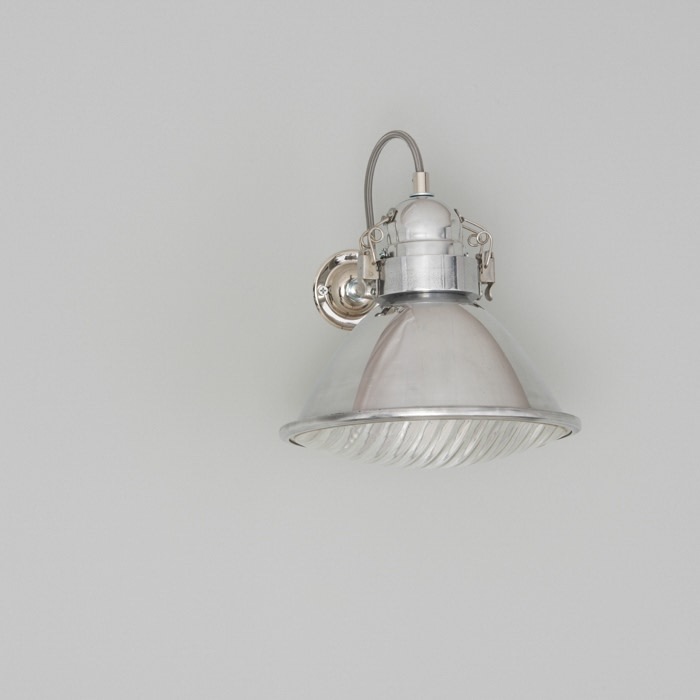 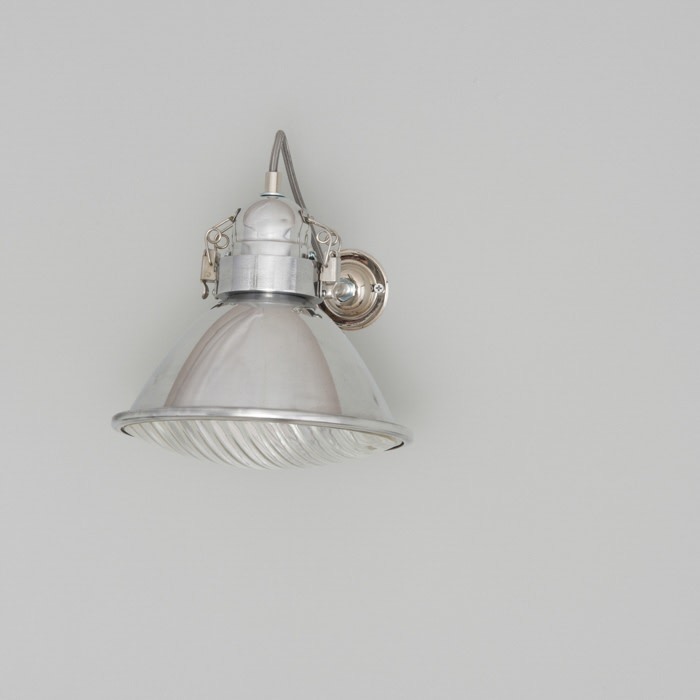 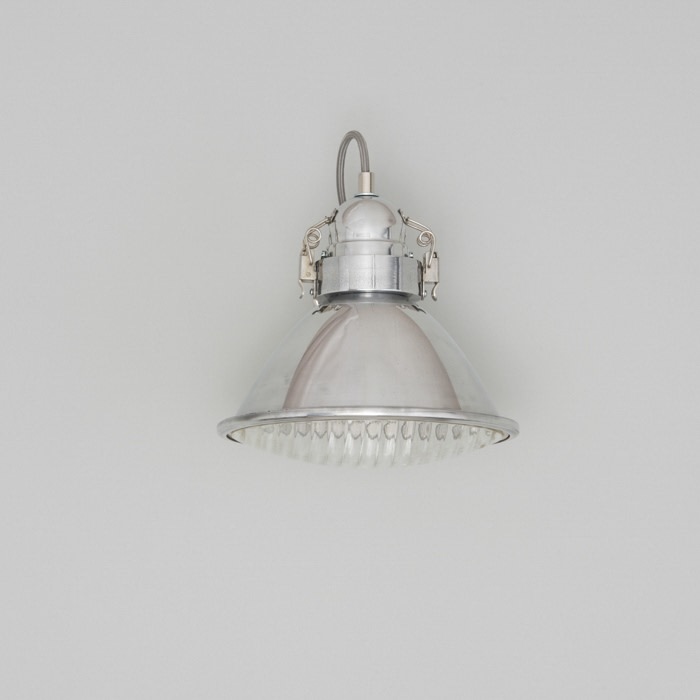 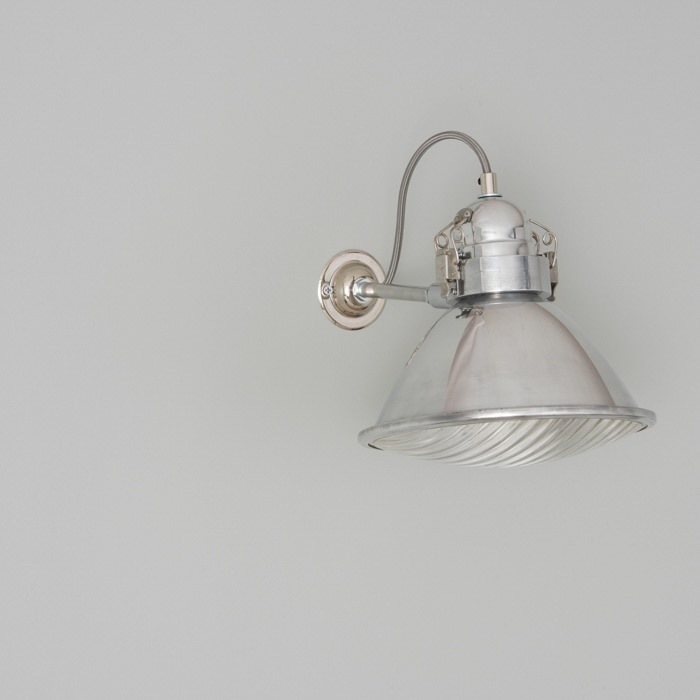 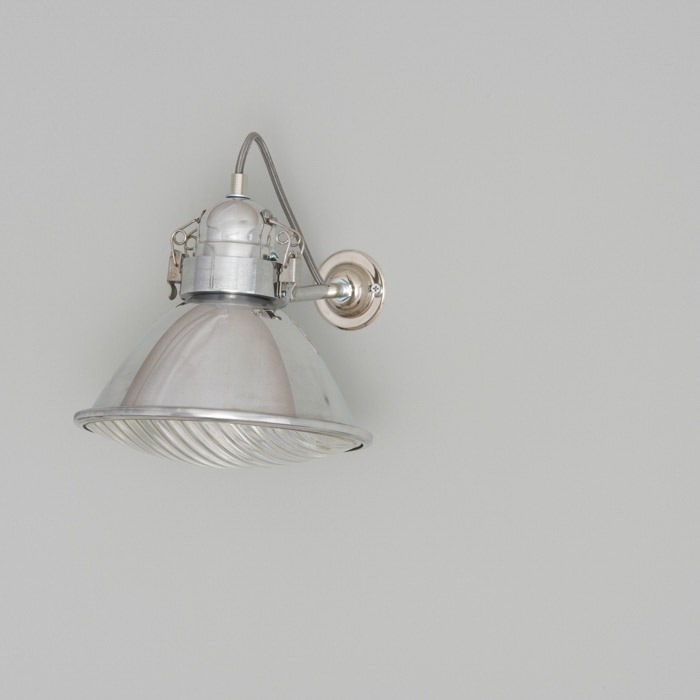 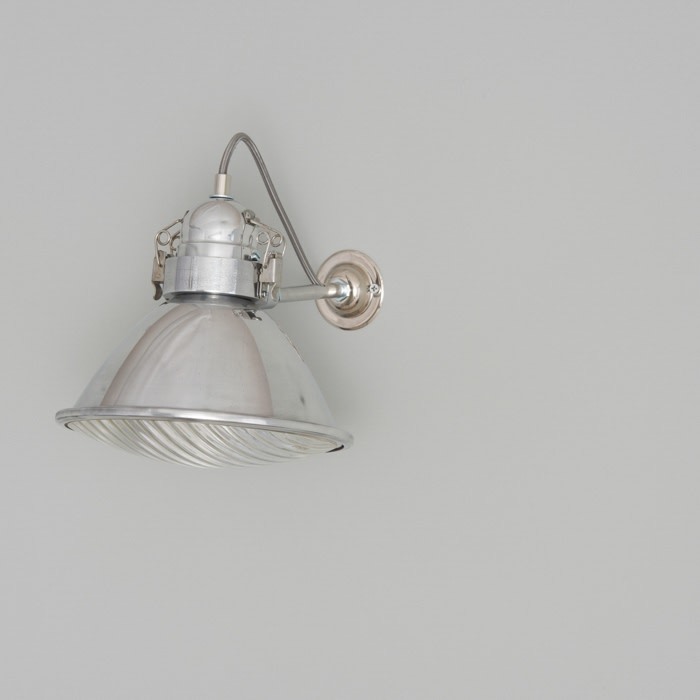 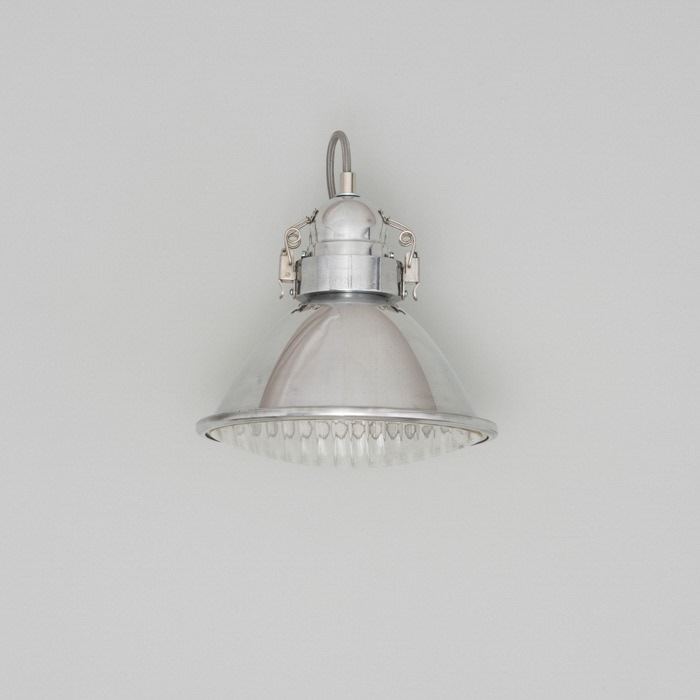 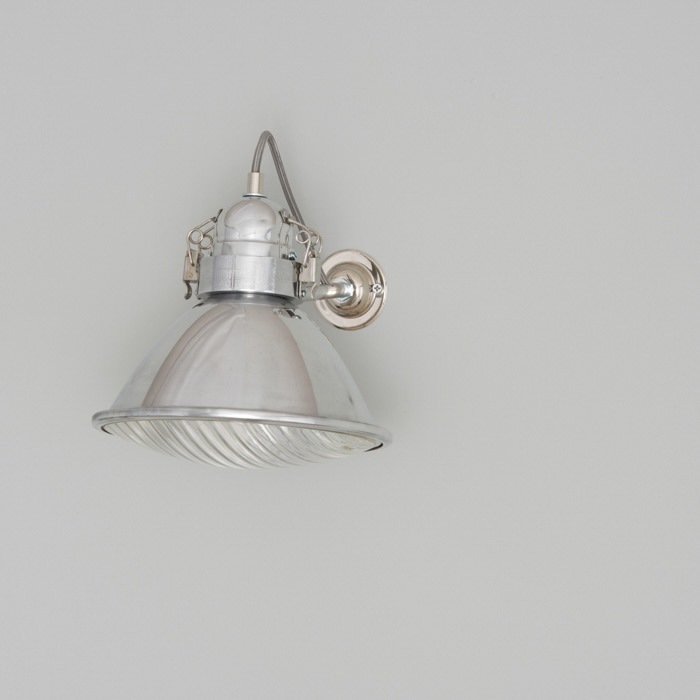 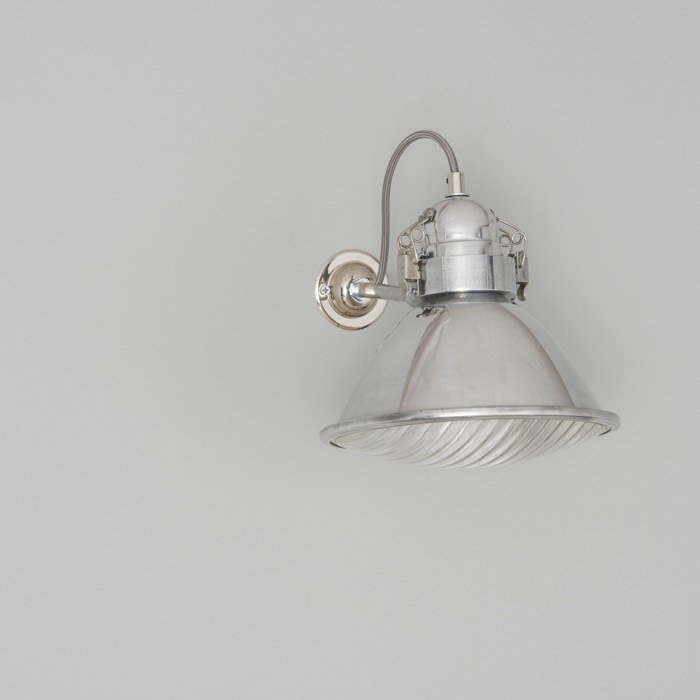 Refurbished and converted to wall lights, the sleek two-part polished aluminium body is fitted with the original convex prismatic glass, and a new arm with a ball and socket joint so the light can be adjusted. 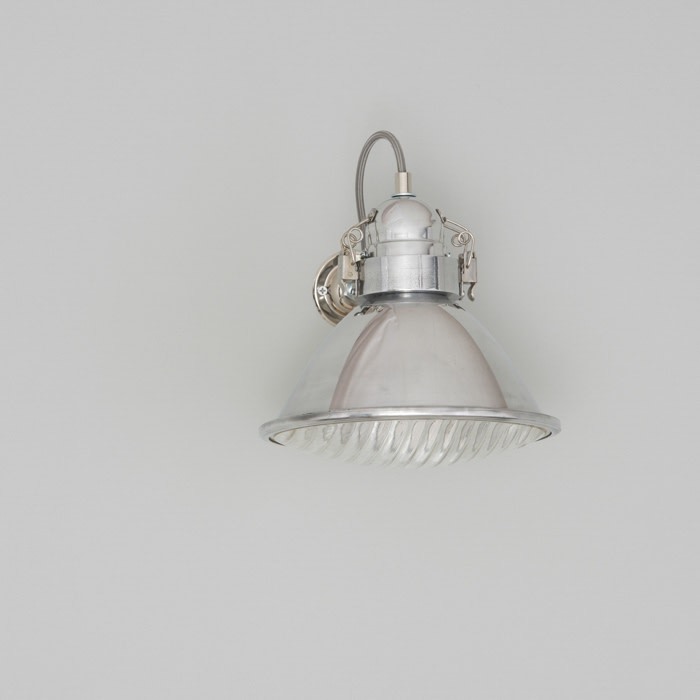 Each light is supplied rewired and tested with a new screw (E27) lamp holder and elephant grey braided cable.